Wonderful food for affordable price! The workers were really nice! I enjoyed eating from here because of them. I wasn't a big fan of the lamb shawarma's taste, but next time I should just get falafel instead. 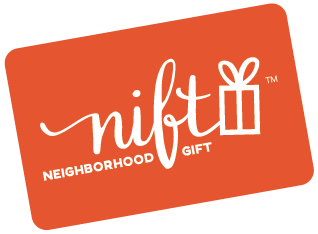 So glad I decided to use this nift gift certificate. I wouldve never ventured to this food court and or picked this site but I am so glad i tried it. This is like the new "chipolte-styled" dining places where you can get a sandwich or bowl with several toppinga down the line to mix and match. The lamb schearma and all the unique pickled veggies and plethora of sauces was amazing and very filling. Customer service was great for explaining to a newbie how to order/do the toppings station. Tasty! Delicious and really good service!! It was great to try out the Amsterdam Falafelshop location in L'Enfant. I didn't even know this location existed so Nift helped me find it. Great customer service, delicious food. Would definitely go again. Great food; friendly service. Would go back again. I love this joint. I come here as much as I can. The establishment is in a food court which doesn’t have cellular phone service. As a result it’s not possible to redeem the coupon. Great (actually wonderful) customer service and good fresh food, as well as a great selection from the falafel bar. Absolutely excellent customer service during a packed lunch time rush. I appreciate the patience and the plethora of ingredients for my falafel bowl. I already told a couple coworkers when they asked about my tasty lunch! It was delicious with great service! Food was fresh & tasty. Service very helpful and friendly. Will definitely return when I'm in the area. Five stars!